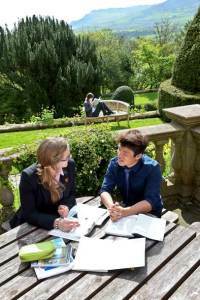 On entry to the sixth form students are allocated a personal tutor, who has a major responsibility for their academic progress, behaviour and personal well-being. Tuition in other languages can be arranged, currently Latin, Spanish and Cantonese for native speakers. Most of our students study four subjects at AS but, depending on the abilities or career plans of the individual student, three or five subjects might be more appropriate. The previous study of a subject is not always essential to be admitted into the AS course. AS courses are normally completed at the end of Year 12 and students are then ready to finalise choices for Year 13 A2 (A level) courses. Students with good AS passes are encouraged to study A2 level in 3 subjects, though individual students may elect to study more subjects or fewer. The timetable is constructed after students finalise their options to accommodate the preferences of as many as possible. Specialist support with University applications. 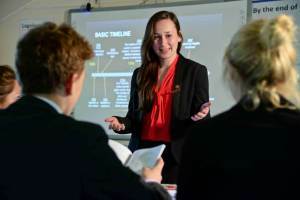 Most upper sixth formers gain places at their first choice universities.